What’s in the (fuse) box? 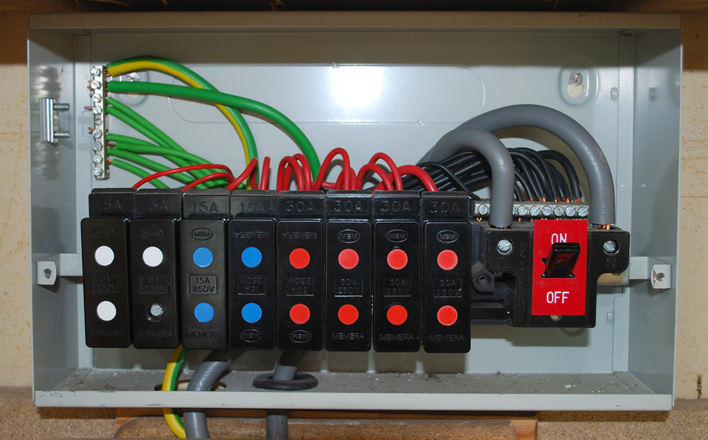 ‘Fuse box’ or ‘fuse board’ are old-fashioned names for the modern electrical consumer units used in domestic properties. In older properties these fuse boxes could have remained untouched since they were installed many years ago. Even if there haven’t been any electrical problems, these older units might not be safe. • a unit that doesn’t have residual current devices (RCDs) for wiring in the walls, or internal and external plug sockets. It can be difficult to judge the safety of the unit visually so an electrical condition report would be a good idea. If you’re planning renovations or extensions with a new bathroom and electric shower, or an attic conversion with extra lighting and power sockets then it’s a good time to replace your consumer unit. BS 7671 (IET Wiring Regulations Seventeenth Edition), which was published in January 2015 and came into effect in January 2016, included a new regulation requiring consumer units in domestic premises to have a non-combustible enclosure.